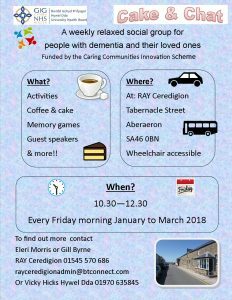 A weekly relaxed social group for people with dementia and their loved ones. 10.30 – 12.30 every Friday morning in January to March 2018. 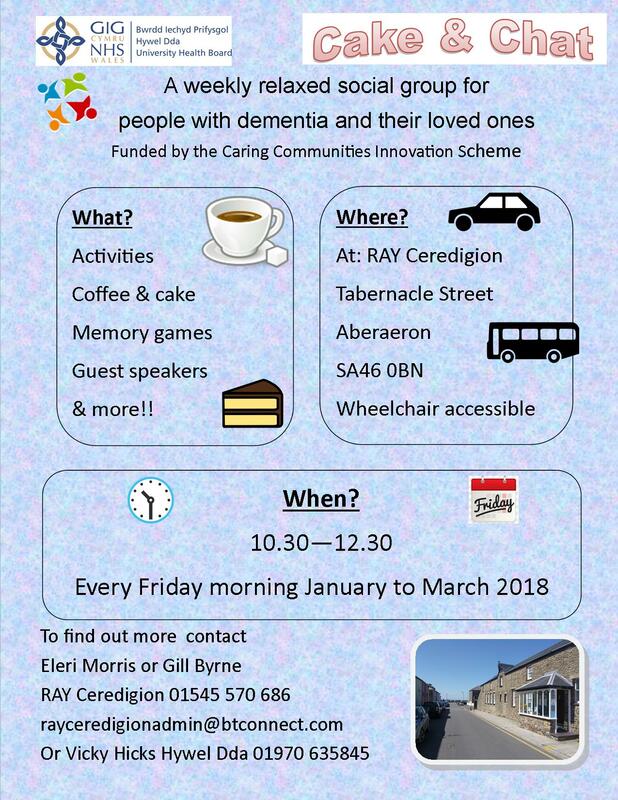 RAY Ceredigion, Tabernacle Street, Aberaeron, SA46 0BN. Wheelchair accessible.